At H4 chart of USD/CAD, Alligator is moving northwards. 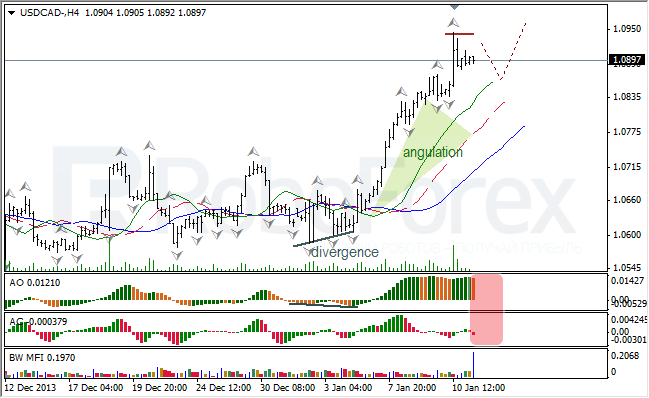 Price is finishing bearish fractal; indicators are in red zone; there might be Squat bar on the MFI. After bearish fractal, I expect slight breakout of fractals to the upside. 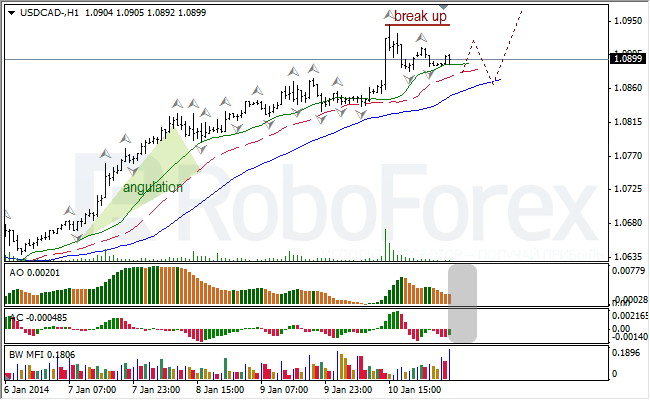 At H1 chart of USD/CAD, Alligator is sleeping (but is still a bit bullish). AO and AC are in green zone; there is Fade bar on the MFI and might be Squat one too. Bearish fractal may reach Alligator’s jaw (blue line) and then I expect slight breakout of fractals to the upside. 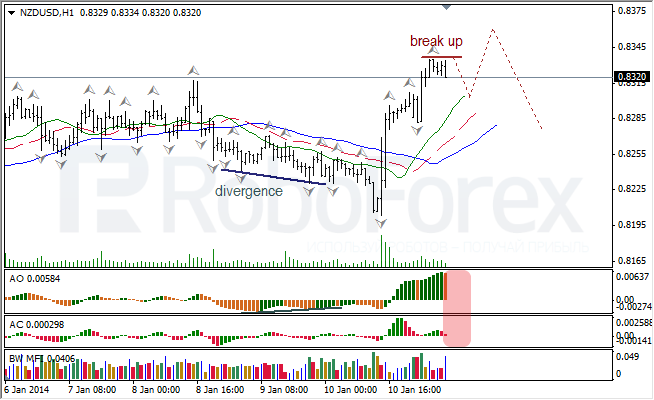 At H4 chart of NZD/USD, Alligator reversed upwards. Angulation is open; indicators are in green zone; price is finishing bullish fractal; there might be Squat bar on the MFI. I expect slight breakout of fractals to the upside and then new bearish fractal. 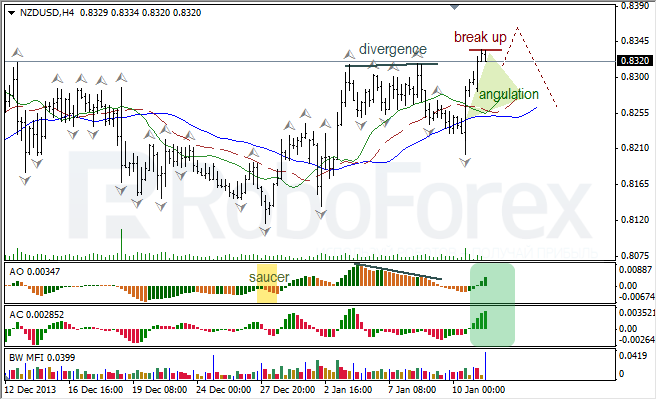 At H1 chart of NZD/USD, Alligator is moving upwards. Price is forming bearish fractal; AO and AC are in red zone, AC is very close to balance line; there is Fade bar on the MFI. I expect breakout of fractals to the upside.